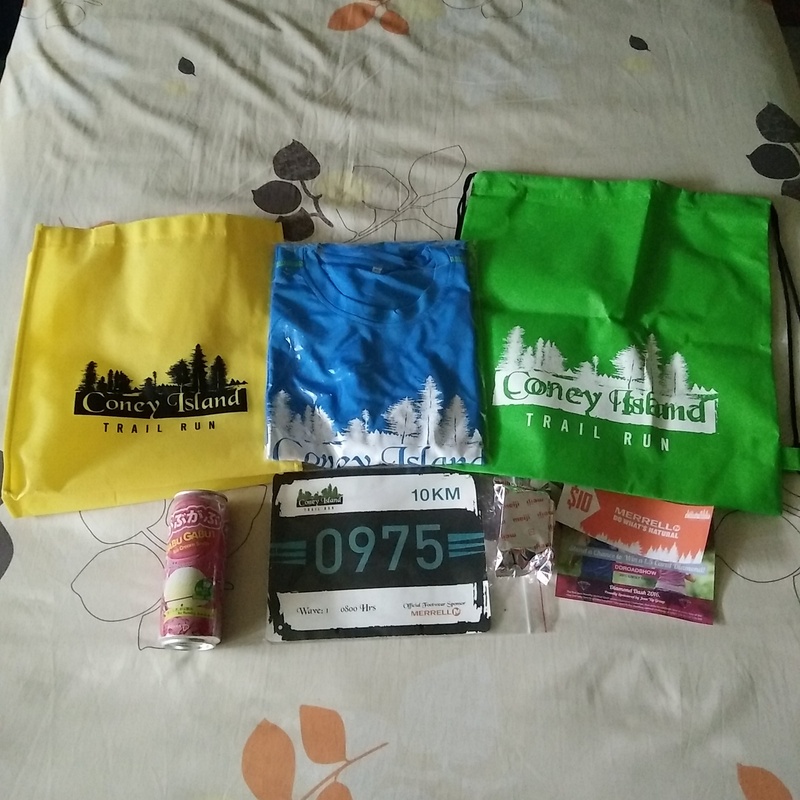 Race Review: Coney Island Trail Run 2016 (by Supertramp) | JustRunLah! 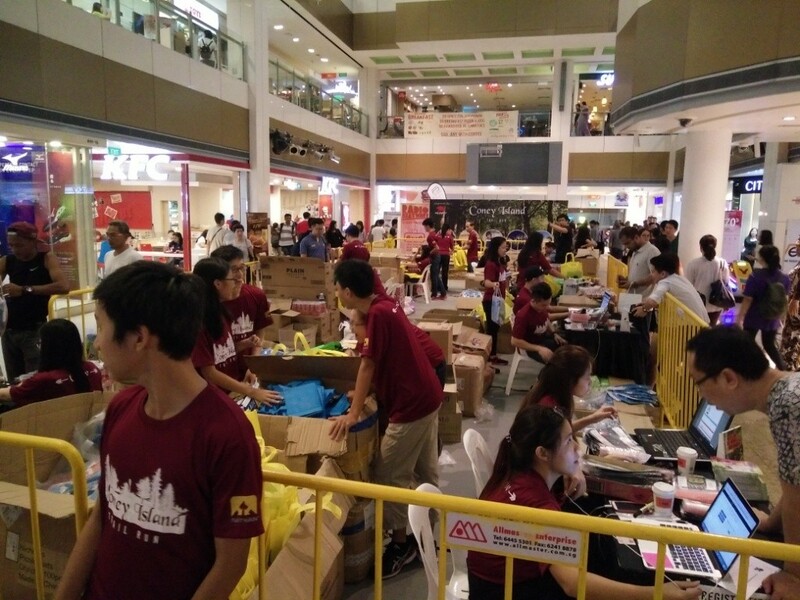 Race pack collection was done at Novena Square, though the venue given was VeloCity. Yes, both are side by side, but Novena Square is not VeloCity is it. Perhaps a sign of things to come? Race Pack. Not much these days. Was there pretty early though the flag off was only at 0800hrs. Being in Wave 1, I was flagged off promptly at 0800hrs. Run route was pretty straightforward, not much twist and turns. I must say I was pretty impressed that the route ended promptly at 10km, not a metre more not a metre less. After passing the finish line, collected my medal, drinks and went to the carnival site to look around. 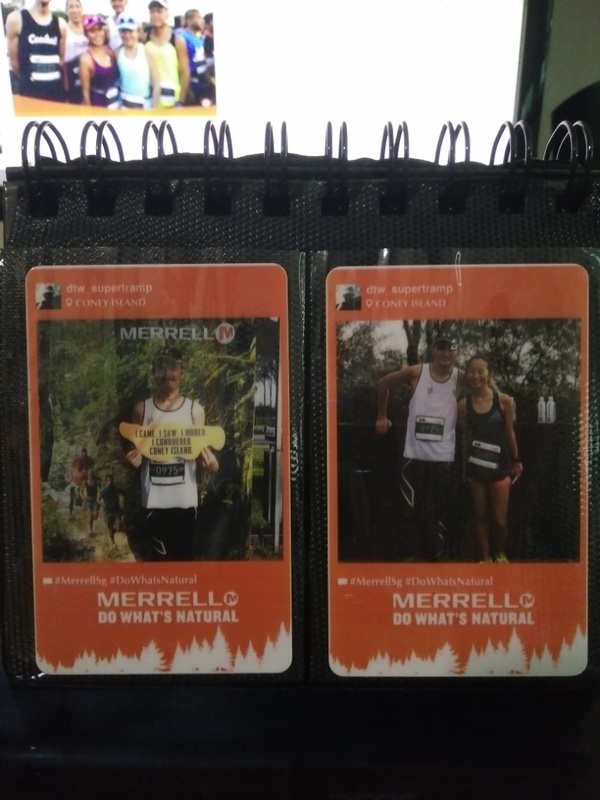 There was a photo booth by Merrell that lets runners print out photo cards, which is pretty nice. I have to say there are plenty with more negative ones. On the Race Guide, we were told the event site is at the Gallop Stable and the map given showed the Start and Finish Points are almost side by side. However when we were at the stables, we were told the start point was actually at the Coney West Entrance, which was a good 700m away. We could have been informed of this as many runners were surprised when they realised they have to move to another location to start the run. Technically the race guide did not state the Start Point to be at the stables but most runners would logically assume the event site IS the Start Point wouldn’t we? At the Start Point, there were no water stations or Portaloo, which was kinda weird, especially when the MC made the call to us prior to flag off to drink up if necessary. Drink up from??? 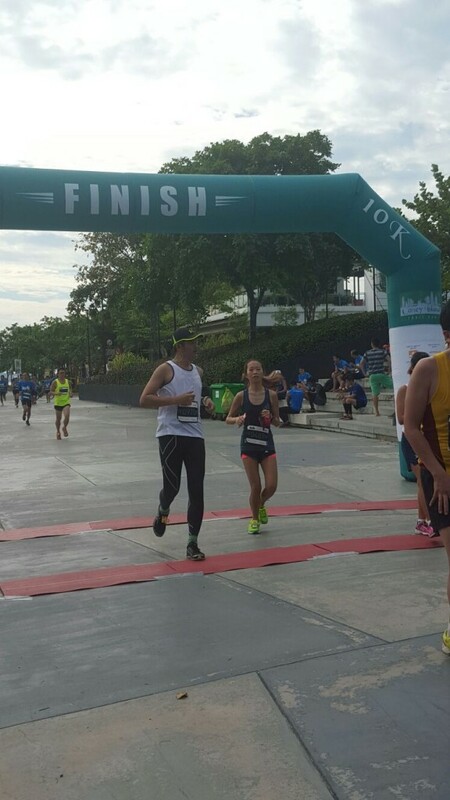 Runners were divided into Wave 1 and 2 for 10km with Wave 3 being 5km. 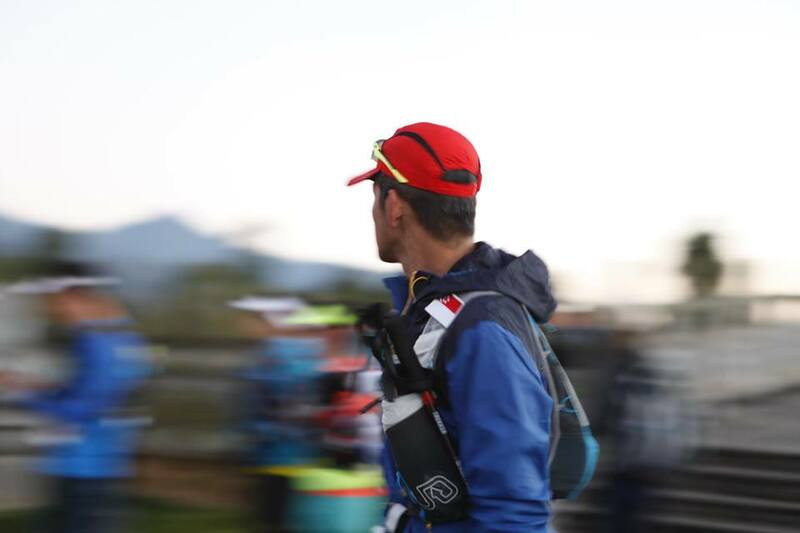 However, other than the call from the MC for us to separate ourselves by waves, there was nobody on the ground to actually do the separation unlike a previous trail run. So we cannot help but wonder the purpose of registering in waves if no one is on the ground to enforce. Flag off was set at 0800hrs for Wave 1. Yes, we do know during registration the flag off would be this late. But with the recent hot weather we sure could do with an earlier flag off before the sun got powerful. 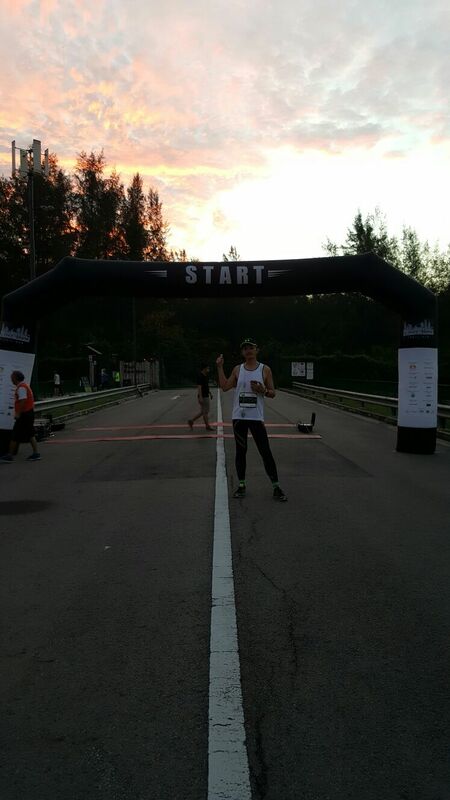 Thus all through the 10km run, we were blasted by the sun with scarcely any shelter. Flag off was prompt for wave 1, though I heard from some friends subsequent waves were flagged off late resulting in even hotter than necessary conditions. Distance markers were non-existent. I do not recall seeing any at all. Could I have missed 9 of them (1 per km)? I may be wrong but I do not think so. I also got to know the leading runners were lead on a wild goose chase and they ended up looping the other way. With the top prize being $1000 cash, the implications are great indeed. Marshalls not briefed? Lack of marshalls? Hydration stations have to be considered a joke and that is to put it mildly. Plenish Sports Water, the isotonic drink from Pokka was served. But, they were all luke warm. How can hydration stations be serving luke warm drinks to runners especially considering the hot weather? I have to pity the volunteers who had to pour the drinks from 500ml bottles. Yes, you did not read wrongly nor did I do a typo, 500ml bottles, not the usual 1.5litre pet bottles. Don’t the organiser know this will result in slower refills which was what happened when runners practically had to hold the cups and wait for the drinks to be poured? And the best part, where is the water? Water as in plain water or mineral water. There were none! Not all runners want to take isotonic and shouldn’t water be the very basic in the first place? Even at the post run carnival site, no cold drinks were served. And I must say I was pretty pissed that cold drinks were being SOLD there instead. Is this a ploy by organisers to milk even more money from runners who really could do with some cold drinks after a run under such weather? What’s even more unforgiving was I understand from friends who ran the later 5km that hydration stations ran out of drinks for them. No drinks for runners, some whom are kids as this was a fun run, for a whopping 5km under the searing sun. 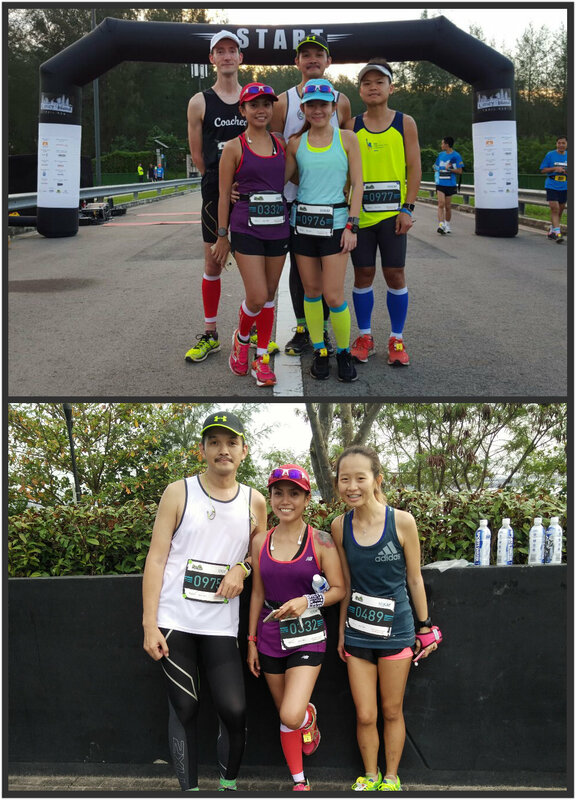 5km runners paid $45, which is not cheap and there wasn’t drinks for them. Duh! Overall, the run was a big disappointment. Right from the wrong venue being given for REPC was already an omen of what was to come. This has to be the most poorly organised run I have ever experienced. My conclusion is the organiser(s) is/are not a runner himself/themselves, thus he/they do not know nor understand runner requirements. Recommendation to runners: DO NOT return for this run if it is held again next year. 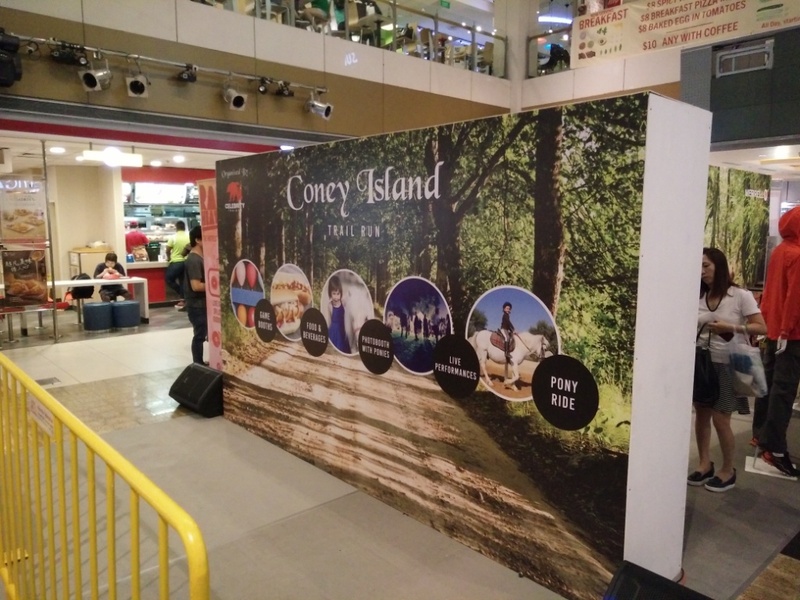 Actually, do NOT go for events organised by Celebrity Trainer Pte Ltd. I know this is kinda harsh but every runner I know of agreed the organiser(s) clearly do not know what they are doing. Click here for more post from Supertramp. I share the same sentiments. 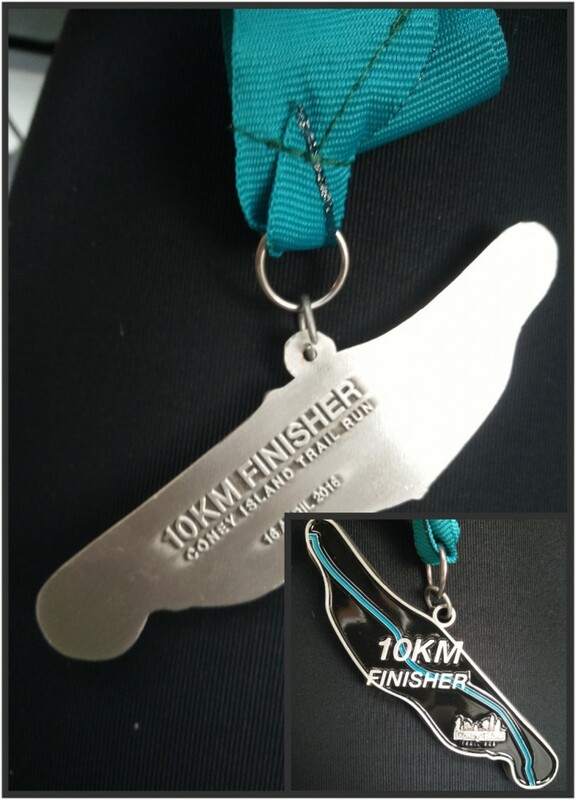 The 10km category didn’t come cheap either, so i was expecting to receive at least a bottle of water/isotonic drink, rather than a half filled mini cup of isotonic drink. I did see distance markers, but they were small, and not placed in the most obvious location. And if i remember right, the design/colour used would easily blend in with the surroundings, all the more making it harder to notice. They seem to have invested more on some promo signs stuck in the traffic cones in the middle of the trail in the island. Not bothered by it (distance markers) much as I rely mostly on my GPS watch, plus I know the route well enough. Speaking of which, they did update the race route online. I believe they also sent out emails to registrants, though the change wasn’t highlighted. The hydration stations was just bad, with the warm isotonic and no water at all (seems I dumped a cup over my head with isotonic), given runners were under the 8-9am sun (worse for those who ran longer). Like the size of 2 mahjong tables side by side, and not enough people manning it. The volunteers don’t even have a tent over their heads to protect, and I also look for tents for the water. Lots of people even easily missed the one at the finish line. Feels like a DIY effort by the same people behind this event, who mainly just wanted to do good business, instead of spending money to hire proper organizers of running events. I signed up for the wrong Coney Island run. It is by far the worst run i’ve participated. by the last wave, first 2 water points ran out of water. you see young kids struggling with the heat and dehydration while parents complain to the volunteers. There’s nothing they could do but is the organiser’s fault. The organiser did very poorly and is ill-prepared for the hot weather and the needs for children. they should not be having kids category if they cannot manage. i dont even see much volunteers along the 5km route, 3-5 of them at water points/finishing line. i would blacklist “Celebrity Trainer Pte Ltd’ run events. 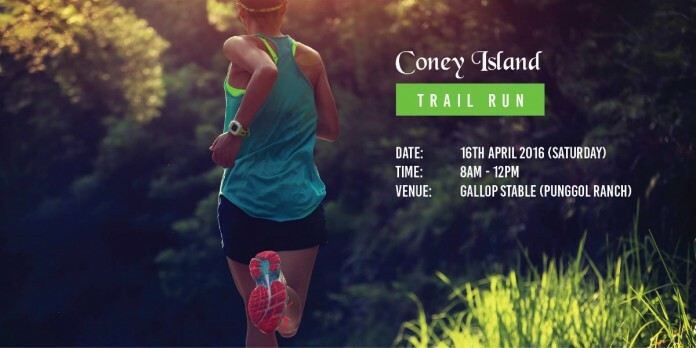 Pls this event organizers did u all really do ur job well n plan well if this suppose to be so call a 5KM FUN RUN????? Where I see so many children seem like no fun at all. The worst were the water-points. 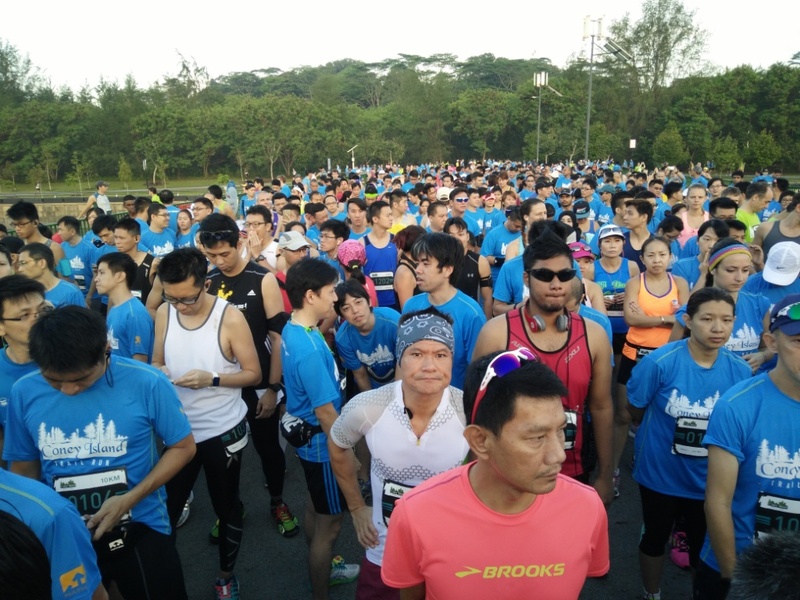 At 2.5km/5.0km/7.5km, runners had to stop, or crowd around and QUEUE! as the tables were tiny and volunteers were frantically trying to keep up, pouring waters into cups from puny sized bottles. The starting point was some 700m from event site. No water there! brave the sun and start the run! I’ll be surprised if nobody got heat stroke. Finish point was a near disaster. In all other runners I have been, runners would have been quickly let through well demarcated paths with bottles of water and medals. I almost missed getting my medal here and had to walk back to look around to see who is giving out medals and join the crowd to grab a cup of isotonic water. And, this was the only race I have participated in where bottled water was being SOLD at event site!